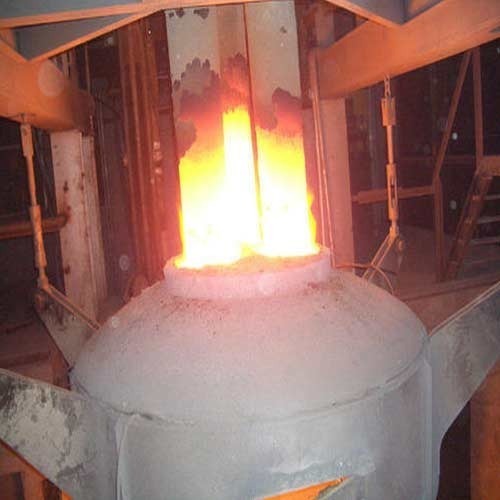 LRF is use to desulphurize steel, remove other impurities and hold the molten steel for casting operations. 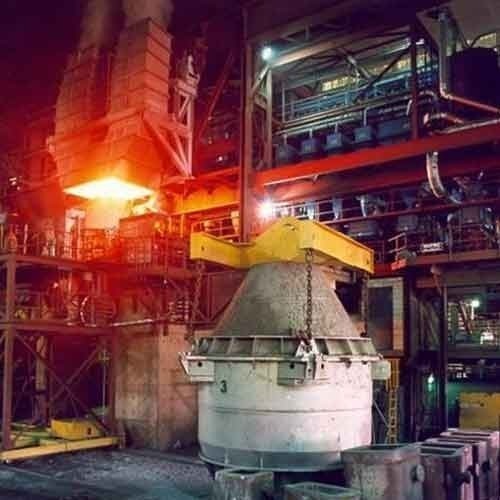 The LRFs acts as a buffer between the Steel Making Furnace and the continuous caster, reducing casting costs and allowing greater flexibility in steel making operations. Thus it is the important metallurgical equipment for refining the high quality carbon steel , alloyed constructional steel , bearing steel , tool steel , stainless steel and etc. 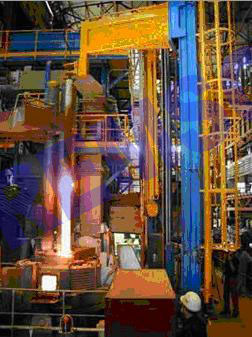 and can meet the demand of continuous casting and tandem rolling. 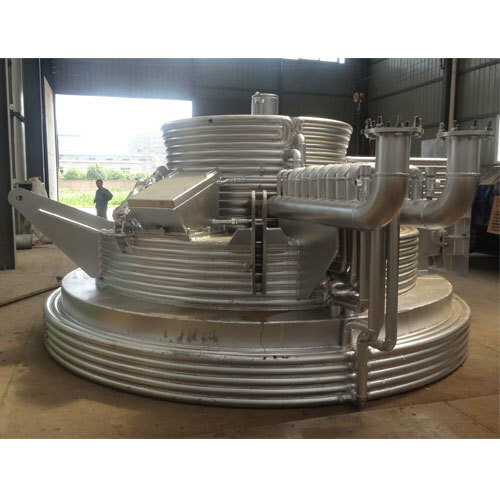 LF, VOD, LFV, VAD optional series according to the different function of the ladle refiner. Arc heating, vacuum degassing, argon stirring, oxygen decarbonization, normal pressure or vacuum feeding, temperature measuring, Aluminum adding, Steel treatment provided in the refining installation. A Teeming Ladle 5-300MT capacity for transportation of liquid metal to casting bay. 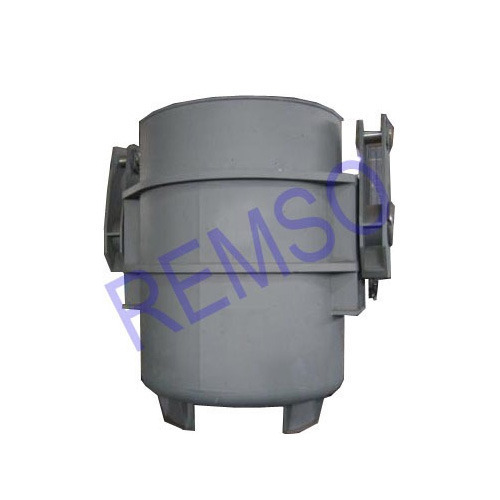 The process like temperature control, Deoxidation, addition of carburizer and ferro-alloys and inclusion floation can be easily carried out in Remso's Teeming Ladle. In a foundry, a ladle is a vessel used to transport and pour out molten metals. Ladles range in size from small hand carried vessels that resemble a kitchen ladleand hold 20 kilograms (44 lb) to large steelmill ladles that hold up to 300 tonnes (330 tons). Many non-ferrous foundries also use ceramic crucibles for transporting and pouring molten metal and will also refer to these as ladles. This unique bottom pour system is designed for the foundry that wants to take advantage of the benefits of bottom filling and pouring without having to install a robot. This system is designed to accommodate pour weights from 10-140 pounds (4.5–63.5 kg). This large capacity can eliminate the need for molds to be poured by more than one person. Steel ladles of sizes from 10 MT to 300 MT capacity are manufactured from IS: 2002 boiler quality plates as well as IS: 2062 plates. Gr 2 as per IS:2002 (latest revision) or E 250 B as per IS 2062 (2006) or as per the customer specification. Trunnion: The trunnion and trunnion plates of the ladle is made of forged steel of grade 20 C8 or 30 C8 as per IS:2004 (1991). The trunnion plate is annealed after forging and ultrasonically tested for soundness. 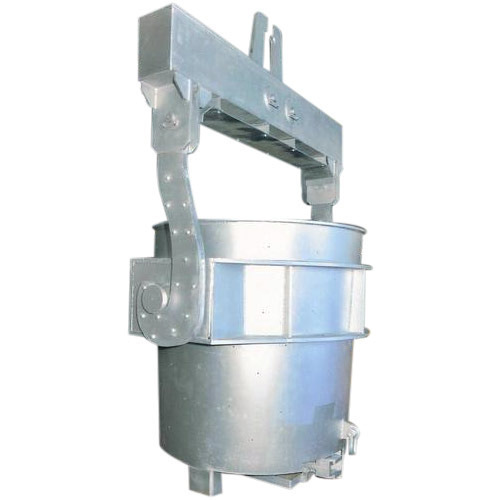 Tilting Mechanism: The ladle is provided with tilting mechanism for tilting. Welding: All welds of the charging ladle are 100 % magnaflux-tested (MT). In addition all full penetration welds are 100 % ultrasonic. The ladles are of completely welded design and reinforced by two stiffener rings with special reinforcement in the area of the trunnions (similar to AISE-Standard No. 9). Ladle shell and Bottom plate are furnished with deOilsing holes so that humidity and Oils generated during drying of the new lining may escape. Ferro alloys and carbon additions - Making adjustments in the chemistry of liquid steel. Decarburization - Removal of carbon for meeting the requirement of certain grades of steel. 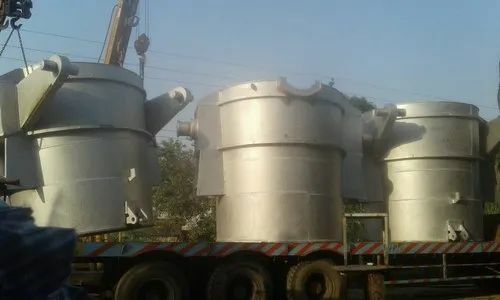 We are one the leading name, which is involved in manufacturing and exporting Ladle Refining Furnace to distinguished customers which is used in the production of alloy steel. 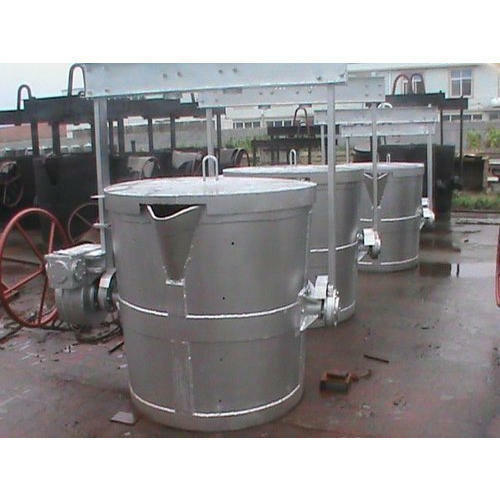 The offered range of ladle refining furnaces is designed utilizing optimum grade raw material and latest technology in tune with the quality parameters and industry standards. More over, the offered range is available to our customers in numerous designs and specifications in accordance with the demands of our customers. Port of Dispatch: ICD Dadri, U.P. The REMSO Temperature, Oxygen, Carbon & Sampling Manipulator is mounted on support structure, which swivels from a parking position to the measuring position. The RTSM, provides the possibility to measure temperature and to take a sample by means of disposable cardboard Immersion Sampler. The temperature measurement is an integral part of tracking progress throughout the tap-to-tap cycle in steelmaking. Expendable probes are also used for tracking bath carbon content and dissolved oxygen levels in the steel. These tools have enabled the tap-to-tap cycle to be accelerated by eliminating long waiting periods for lab results, thus increasing productivity. Disposable probes are typically mounted in cardboard sleeves that slide on to a steel probe (pole) which has internal electrical contacts. The disposable probe transmits an electrical signal to the steel pole, which in turn transmits the signal to an electronic unit for interpretation. Almost all probes rely on an accurate temperature measurement to precisely calculate carbon or oxygen levels. The TSM from parking position to working / measuring position and back is fully automated. The complete system of RTSM and swiveling support can be supplemented by an Automatic Probe Changer with a magazine of lance tips. Which also break the SLAG and take the sample and temperature. Water cooled system composing of water cooled panels, water cooled roof and water cooled elbow is an integral part in the operation of an electric arc furnace. Typically, there are several water cooled systems. Some operations require extremely clean, high quality cooling water. Transformer cooling, delta closure cooling, bus tube cooling and electrode holder cooling are all such applications. These systems will consist of a closed loop circuit, which conducts water through these sensitive pieces of equipment. The water in the closed loop circuit passes through a heat exchanger to remove heat. The circuit on the open loop side of the heat exchanger flows to a cooling tower for energy dissipation. 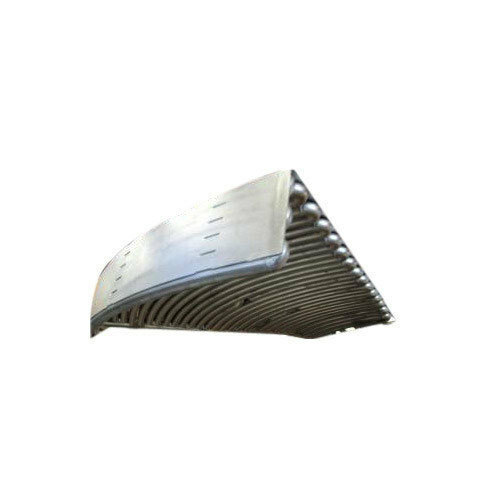 The water cooled elements such as water cooled panels, water cooled roof panels, water cooled offgas system ducting, water cooled furnace cage etc. will receive cooling water from a cooling tower. The cooling circuit consists of supply pumps, return pumps, filters, a cooling tower cell or cells and flow monitoring instrumentation. Sensitive pieces of equipment normally have instrumentation installed to monitor the cooling water flow rate and temperature. For most water-cooled equipment, interruption of the flow or inadequate water quantities can lead to severe thermal over loading and in some cases catastrophic failure. We offer a complete service which includes design, manufacture, hydrostatic testing and installation of water cooled panels and other water cooled components of an electric arc furnace. We are in business to serve you. If you have problem with water cooled components and are looking to extend the longevity of your equipment, as well as eliminated costly downtime due to leaks, then consult us. The following pictures represent typical water cooled panels and water cooled elbow manufactured at Tam Celik. Contact us to see if we can meet needs of your water cooled system! 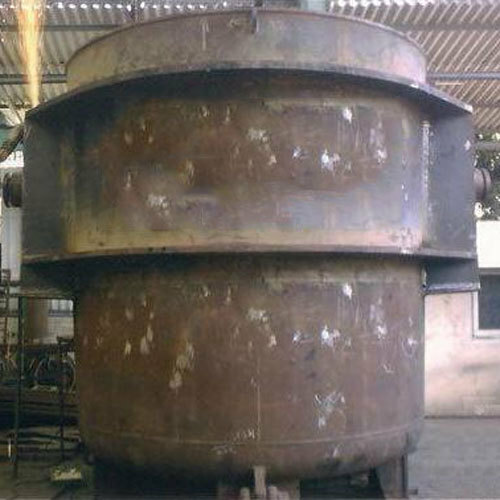 Looking for “Ladle Refining Furnace”?